Lieutenant Colonel Warrenton O’neil Dixon was born on 24 January 1974 at the Victoria Jubilee Hospital in Kingston, to parents Thurburn ‘Herbert’ Dixon and Roberta ‘Gloria’ Allen. He spent majority of his formative years living in Dallas Castle, St Andrew, where he attended Dallas All Age School (Now Dallas Primary & Junior High), before moving on via Common Entrance to one of the most prominent High Schools in Jamaica, Kingston College. He attended the University of Technology in 1991 and pursued a diploma course in Chemical Technology. Creditable performances resulted in him winning several awards throughout the course. He graduated in 1996, and in September of that year he enrolled to be an Officer in the JDF. After completing the Young Officers Course at Commando Training Centre, Royal Marines in England he returned to Jamaica and was commissioned as a Second Lieutenant. He then served as a Platoon Commander in the First Battalion The Jamaica Regiment (1 JR) from 1998 to 2003. 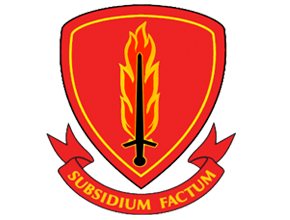 He was appointed Acting Adjutant for 1 JR at varying periods between January 2004 and August 2005 while being substantively appointed Officer Commanding Support Platoon, Headquarter Company, 1 JR. He was promoted to the rank of Captain in March 2004 and served as Acting Officer Commanding Alpha, Bravo and Charlie Companies in 1 JR at varying periods between January 2006 and November 2007. In November 2007 he was appointed Operations Officer for 1 JR. He was promoted to the rank of Major in June 2008 and posted to Headquarters Jamaica Defence Force (HQ JDF), where he was appointed SO2 J7 (Training and Doctrine) until January 2011. He then returned to 1 JR as the Officer Commanding Headquarters Company. He also held brief appointments as Acting Commanding Officer, 1 JR during 2012 and 2013. He was then appointment Officer Commanding Military Police Company in July 2015 and Acting Commanding Officer for the Combat Support Battalion in July 2018, the latter of which he held until he was substantively appointed as that Unit’s Commanding Officer on his promotion to Lieutenant Colonel on 22 November 2018. Lt Col Dixon successfully completed several military courses, including the Caribbean Junior Command Staff Course (CJCSC), the Canadian Land Forces Junior Command and Staff Course, and the Senior Command and Staff Course at the United States Marine Corps University in Quantico, Virginia. He has also served as a member of the Directing Staff and as Chief Instructor at CJCSC. 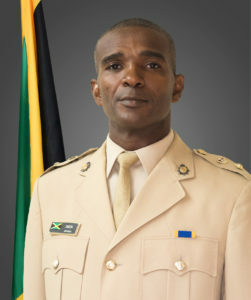 Lt Col Dixon was elected President of the Jamaica Volleyball Association (JaVA) in 2009 and held that office until 2013. After stepping down from the presidency he opted to serve with the Association as their Schools Development Manager, a position he held until July 2015. He was elected Second Vice President of the Caribbean Zonal Volleyball Association (CAZOVA) in 2011 and appointed as a Board Member of North, Central America and the Caribbean (NORCECA) Volleyball Confederation in November 2013. He currently holds both appointments. Lt Col Dixon has served as a Board Member of the Possibility Program, which seek to assist street children to improve their lives. He has also served as Vice President for Dolphin Swim Club and Chairman of St Theresa Preparatory School Sports Board. He is an avid sports enthusiast who believes in the value of competition. He has played on a number of teams, in a number of sports, to varying measures of success. His hobbies are lawn and table tennis, volleyball, cricket, football and teaching.